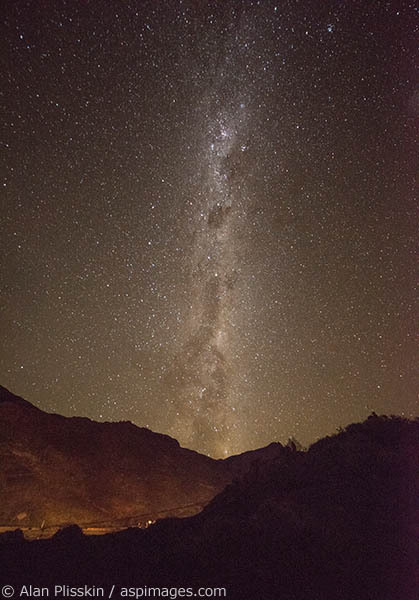 There is very little light pollution in this part of Chile. The Milky Way covered much of the overhead sky and was clearly visible. This image was looking south and the ridge nearby was illuminated as a vehicle passed by.